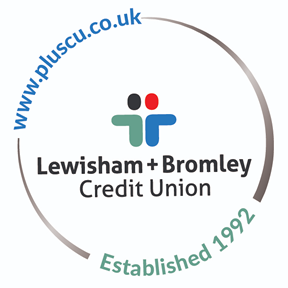 Lewisham Plus Credit Union welcomes applications for Corporate Membership from charities and unincorporated organisations providing community benefit based in the Lewisham or Bromley boroughs. We do not currently admit other types of corporate member, as this service is provided on a not-for-profit basis at our cost to assist local organisations with safely managing their funds. If you are interested in opening an account, please complete the application form below and send/bring it to our Sydenham Branch. Corporate accounts can not be opened at our other branches or on-line. In common with other financial institutions we require validation and identification of all signatories to the account. Individuals representing organisations will be required to produce identification documents giving proof of name, date of birth and address in accordance with the credit union’s normal identification requirements for individual members. In addition we will require details of all shareholders, directors or beneficial owners holding more than 25% of shares in the organisation who are NOT signatories. 1. The Corporate Representative / Designated Representative ("Representative") will be the voting delegate on behalf of the Corporate Member and will be the addressee on all correspondence. 2. The Representative may hold a Credit Union account in their own name separately from the Corporate Membership, subject to meeting the requirements for membership of the Credit Union. 3. A non-refundable joining fee of £5 will be charged to open a Corporate Membership account. 4. A maximum balance of £30,000 may be held in a Corporate Membership account. 5. Any reasonable number of deposits will be accepted, over the counter, by BACS transfer or using standing orders referenced to the account. We are able to accept mixed coin deposits. Where a large quantity of coin is deposited, please ensure that this is bagged and counted. 6. No more than 25 withdrawals are permited in each 12 month period. Withdrawals will be byBACS transfer, by cheque or in cash subject to branch-specific cash withdrawal limits. 7. Two signatories must authorise each withdrawal. Additional checks may be applied to largewithdrawals and/or where one or more signatories confirm authorisation electronically or by telephone. 8. The Corporate Membership account does not provide current account facilities. 9. Corporate Members will not be eligible to apply for loans from the Credit Union. 10. Other Credit Union products and services will be made available to Corporate Members wherethe terms and conditions of these products and services permit Corporate Membership. 11. The Credit Union only accepts Ordinary Share deposits into Corporate Membership accounts. 12. Corporate Membership accounts will be eligible for the same dividends as individual Members. The Board reserves the right to change the Terms and Conditions on 30 days written notice.